It has been seventeen years since the terrible day of 9/11. It is a day I will never forget. day. I was in the third month of my new career and busy sorting through stacks of printed manuals. I had the monotonous job of separating and rubber banding the manuals by hand. It wasn’t the most exciting task, but I did it with the enthusiasm of a college kid entering the workforce for the first time (because I was). On the way to my desk that morning, I visited three of my coworkers in the second floor conference room. They were preparing a plan for coordinating communications with South Florida offices for a tropical storm that was projected to hit Cape Coral, Florida. A small, old television on a cart was displaying the latest news cast, as they hoped to get an update on the storm. David nodded and disappeared back into the upstairs conference room. A few minutes passed, and I suddenly heard the hallway along my cubicle become strangely silent. There had been plenty of the usual busyness and movement just a few moments ago. The stillness caused me to get up from my chair and walk the length of the empty hall. Where did everyone go? I wondered, peering into the empty offices. Sensing it had something to do with the TV, I ran up the stairs to the conference room where my coworkers were watching the news. To my surprise, several coworkers from my floor were crammed into the relatively small conference room. When I approached the doorway, I was met with stares of shock and disbelief. “A plane just hit the World Trade Center,” one of my coworkers said, trembling. For a moment, I had trouble comprehending what she said. The words seemed off. Something didn’t feel right. Everyone in the room was now facing the television, and I suddenly began to understand. Heavy smoke billowed from the side of the North Tower where a commercial plane had hit it only moments before. The news reporters were scrambling to figure out what had happened — was it an accident? It must have been an accident. As the live camera feed on the World Trade Center towers was focused on the damage done to the first tower, another commercial plane struck the South Tower. A collective gasp and sudden stunned silence filled the room. It was suddenly painfully obvious: this was no accident. Without warning, the towers began collapsing. People were jumping to their deaths. It was the most horrific event unfolding before my eyes that I’ve ever witnessed. My shock and terror only deepened as I heard later that morning a third plane crashed into the Pentagon, partially destroying the building. And I felt those emotions again as I heard about the courageous lives lost when a fourth commercial plane was hijacked. The passengers on that plane refused to allow the evil men to reach the destination of Washington D.C. and crashed the plane in a field in Pennsylvania. I don’t remember much else from that particular day. I cried off and on. Offices and businesses closed. Schools and colleges shut down for the day. For a few days, it seemed the world stood still. My young, barely 18-year-old mind could hardly comprehend what happened. A few days later, school resumed; and I was in a math class. But it was no ordinary school day. It felt like no day would be normal ever again as a young woman sat beside me, sobbing uncontrollably. She kept apologizing for the inability to control her tears and explained that she was a stewardess who was assigned to one of the flights that was hijacked. She wasn’t feeling well that day and switched shifts with another stewardess who ended up dying on one of the planes. Other students tried to comfort her, as another student talked about a missing uncle for whom first responders were still looking under the piles of rubble at the site of the World Trade Center. My family was spared. No one close to me was impacted, but as I learned in the days and weeks that followed, many other people in my social circles had people dear to them or close to their families who lost their lives. As a result, I was thankful, but also felt guilt. I felt numb. I felt anger. I felt helplessness. I was traumatized. But I’m sure the grief and trauma I experienced paled in comparison to those whom were affected that day. I can’t even imagine what they must have felt and still feel. Every year is a reminder of those who were lost, and the lives they touched that day. My heart mourns for those who still experience painful memories and for those who lost friends and family close to them. However, I am also reminded God reigns and is sovereign during terrible events like 9/11 (Romans 8:28), and I can be a light to others in the midst of tragedy as I allow Him to fill the broken and confused parts of me and heal and, in turn, help others through the healing process. those who are tormented by memories, we can speak to the spirit of trauma and cast it out in the name of Jesus (yes, Child of God, you can pray for deliverance for the oppressed). We can intercede and agree for the Lord to bring strength and inner healing to the suffering. We can lead others to an encounter with the Lord by asking them to pray and ask Jesus where He was in the middle of the painful event. The peace and comfort people experience through this sort of encounter is often transformational by understanding that He experienced the event with them. They were never alone (Joshua 1:9). And, heaven forbid, should another event like 9/11 come in the future, we can and must be the hands and feet of Christ. We must not be paralyzed. coming year? This is a question I’ve asked Father God over the last few years, and the answers I received have been profound and life-changing. The thought of asking God for a word for yourself may seem strange. I completely understand if you feel that way. The first time the idea was posed to me, I wasn’t sure what to think. It felt gimmicky. However, the idea apparently piqued my interest enough to try because I found myself asking God for a word one cold January night. I wondered that night how long I’d have to pray to receive an answer. The funny thing is, I didn’t even get the question fully out of my mouth before I suddenly received an answer. The word was “warrior.” It wasn’t a word I audibly heard. Instead, it was a quick thought that flew through my mind so fast I almost missed it. It’s a bit hard to explain how to “hear” something that you can’t audibly hear with physical ears, but my spirit seemed to know “warrior” was my word. However, I wanted to make sure I really heard from God and wasn’t answering my own questions. It seemed to be no coincidence that I was reading about David. He was certainly a warrior. Was this the word that God was speaking over me? It seemed the answer I received was the first of several confirmations. During the weeks that followed, I experienced many trials at the hands of cruel personalities. In years past, I probably would have given in to the circumstance and allowed myself to become the victim. But something rose up inside of me like a lion. I was determined not to give up, and I decided to fight the situation in the only way I knew: I prayed. I read Scripture. I spent many lunches during my workweeks with my door closed and my face on the floor asking God to intercede. I read several verses from Psalms out loud as declarations about the Lord’s victory over the circumstance. emotional and spiritual healing through new godly friendships and the removal of the environment that had caused me so much pain. I am so grateful. 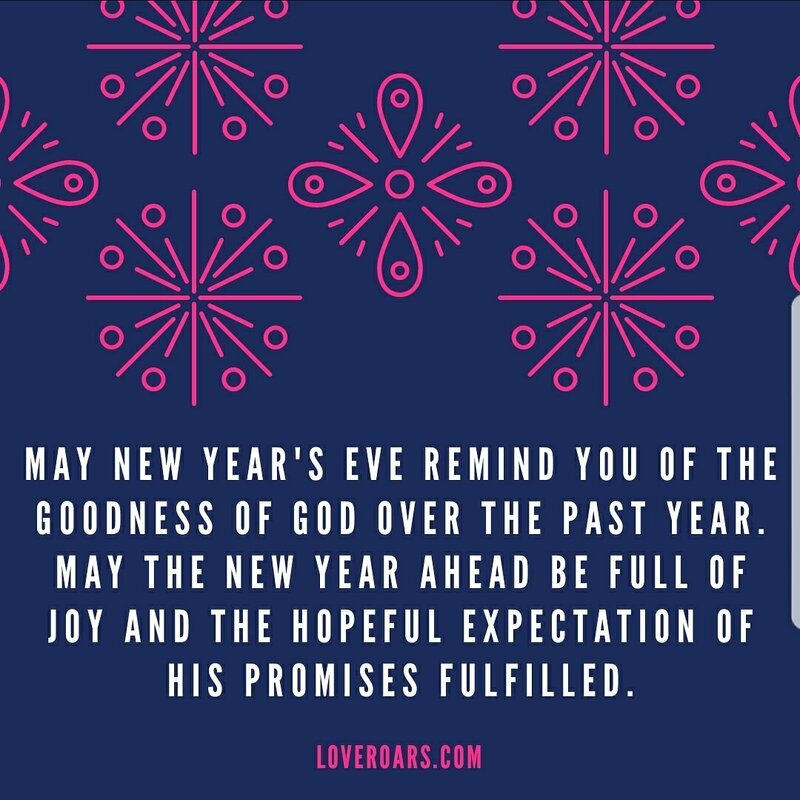 This year, my word is “new”, and I can’t wait to see what God has in store. 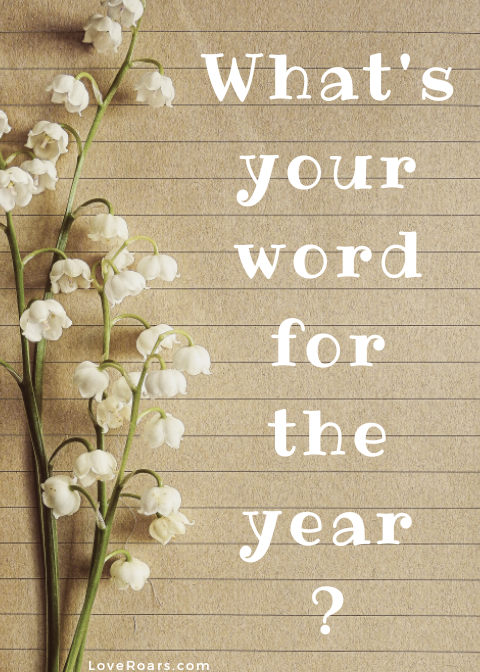 It was clear before 2018 even began that the word for this year represents so many wonderful God moments that they can’t fit into one year! For example, recently, I’ve been learning new duties at my job; and as a result, I’m gaining new skills. The Lord has given me even more godly friendships that I’m sure will only grow closer as the year develops. I led worship at my church for the first time ever. Also, if you’ve followed this blog for a while you may have noticed the previous name “The In Place Missionary” has changed to “Love Roars.” Yes, that’s new too. I have wanted to buy that domain for over a year, and it finally happened! I hope you will spend a quiet moment with the Lord and ask Him for a word for your year, and I hope the word you receive will provide you a sense of expectancy to see God move in very real ways in your life. I am not trying to say we should not have dreams and ambitions in life. Setting goals and working towards them can be a rewarding process that brings honor and glory to God because it is an expression of who God has created us to be (1 Corithinians 10:31). But, with that said, the dream or ambition itself should not be our center focus. When it becomes the ultimate goal, discontentment can lead to an unhealthy spirit and elevate the process of filling a perceived lack to an idol. It’s a heart issue that affects non-Christians and Believers in Christ alike. The Bible warns us about discontentment because it can be a symptom of disobedience. Why? Instead of looking to God to provide for our needs and give us the desire of our hearts, we develop a mindset of looking for a change in our circumstances to bring us happiness. See the example of Adam and Eve who ate of the tree of the knowledge of good and evil because they felt they were lacking something good that God was withholding from them. As a result, they willfully disobeyed the command not to eat of the tree. It is the heart of the natural man to constantly look at our own lack and try to fill it because we are looking for something eternal that only God can provide to us. As a person who has climbed the proverbial career ladder and sought financial success for all the wrong reasons in the past, I recognize I must heed God’s whispered warnings to my heart about avoiding the discontentment trap. When things are going well, it can be easy sometimes to feel in control. When you cease to feel desperate, it can be seemingly easy to live a life without God at the forefront, steering the way. Ironically, it’s in those moments when I find I often need Him most, even though I don’t feel like I do. In short, Christ is the only one who can provide peace, where our attempts to answer the “if I only hads” of life cannot. I encourage you, Brother/Sister, if you find yourself discontent with the situation you’re in, meditate on the passage Philippians 4:11-13 and ask God to show you the root of your dissatisfaction and remind you of the source of your hope. Remember your God will supply all your needs according to His riches and glory in Christ Jesus (Philippians 4:19). I hope this post will encourage you and bring perspective about the important things in life. God is in control and has your best interest at heart. He intends to maximize the potential of who you are created to be and increase the effectiveness of your ministry in your life and those around you. He would never deprive you from something better. She stared at the monumental task before her. Its completion seemed impossible. She understood how David must have felt with only a sling and a stone to take down a giant. Her mind raced. Her heart jumped. How would she get through this moment? Wasn’t she in the center of God’s Will? Didn’t she go where the Lord had called? Why was each step such an enormous effort? Did the Lord intend for her to fail? with well-meaning but uninformed clichés, suggesting God will always remove every obstacle and open every door when we’re on the right path. It can feel distressing when you reach a new chapter, a momentary “promised land” in life and quickly discover it’s not going to be easy due to “giants” (obstacles, challenges, struggles, problems or seemingly impossible situations) in the land before you, threatening to spoil your victory and ruin you at every turn. One evening a few months ago during my prayer time with God, I was particularly upset and confused about a giant in my life. I complained to my Abba Father for thirty minutes, asking Him why my mission field was enormously difficult and expressing how discontent it made me feel. I can almost imagine as I whined that God was calmly listening with an “are-you-done-throwing-your-pity-party-yet-so-I-can-talk” type of look on His face. “Please speak to me through your Scripture, Lord,” I asked piously after concluding my rant (I understand if you’re snickering at me, dear reader). Little did I know how much God would use that request to teach me about how He felt my journey was going. Soon after I voiced my request, the reference Acts 20:19-21 came to mind. As I wrote it down, another reference, Zechariah 4:10, popped in my head. I quickly wrote it below the first reference. The verse and section in context was Paul explaining that his ministry was difficult from the first day he entered his mission field in Asia and often accompanied by tears and trials. However, he concluded the end result was worth the struggle because it furthered the Gospel and glorified God. I was floored. Did I just read that right? Did I not just complain to God about the giants in my mission field being too tall and the road too hard and too long from the first day I began this journey? The second piece of Scripture was a bit more difficult to figure out because of the metaphors, but with some simple research, I eventually understood. The passage was about the construction of the Temple and God’s pleasure as He oversaw the building process. Maybe I’m just seeing what I want to see, but the message was clear in my mind: The Father saw the construction within me, His Temple, growing pains and all, and was pleased. I sat in my chair for several minutes, staring at the verses I just read. I was speechless. The words were not easy to read. God was delighted with how my journey was going. But was I? Not so much. I wanted God to simplify my mission and agree with me to take away the obstacles, but He didn’t. Instead, I found myself having to face my giant head on. But I never fought the battle alone. God often shows up in the most incredible ways in those dark moments when we find ourselves in Goliath’s shadow. Defeating such a giant requires faith and trust, even when the current circumstances look a lot like failure. It often means we keep fighting until we’ve reached the end. Only then do we realize God is always for us (Romans 8:28) and He’s always with us (Deuteronomy 31:6). He uses our weaknesses as His strength. Our victories over the giants in our lives grow us and prepare us to fight bigger battles. It witnesses to those who don’t know our loving God about His reality. Our testimonies of overcoming adversity teach others and build their faith to believe that they can do the same with God by their side. The journey of life is full of new beginnings, unexpected turns and course resetting. Often times, when we feel like we’ve arrived, a new change shakes us or grows us. Many times, this process is painful, but necessary for maturity. I have experienced many of my own twists and turns throughout my life journey; but through it all, God has been with me, guiding my steps and whispering reassurance to my heart along the way. You can read about my testimony and God’s goodness through my life struggles on my About Me page. Earlier this year, I found myself at an unexpected crossroad in my career and life in general. I call it “unexpected” because I had known for years that God’s will for my life was to remain within my place of employment where I had been for the last 15 years in different positions. He confirmed His will for me to remain where I was many times by providing opportunities for me to minister to others through love and encouragement. He gave me moments to share His love and His nature with the lost, hurting and broken. He gave me lifelong friendships for encouragement, correction and growth. He even used my workplace to bless me with a husband who is the love of my life. Amid the blessings were also job struggles and pains associated with maturing and disappointments along the way. In many ways, I believed my place of employment was my long-term “Promised Land” because it was where God had sent me. But then it happened — change. Sometimes, the change in course is obvious, but sometimes it isn’t. In many previous crossroad situations, the choice was often not obvious; but in this particular case, there was no mistaking it. Months earlier, I began to feel a deep stirring of the Spirit, nudging me and telling me it was a season of change. It was time to move. To be honest, I wasn’t excited. I know I should say I was giddy with anticipation about the prospect of moving on to a new adventure, but I wasn’t. I was finally feeling settled and comfortable in the position which I had been placed. It certainly had its challenges and issues. In fact, there was a storm going on in that area of my life; however, I assumed it was one of those issues that would eventually get better. Plus, I knew I would give up many blessings to change careers — daily interactions with amazing friends, a position that gave me direct access to the organization’s decision makers and knowing how my role fit into the organization. But my heart became restless and many nights were sleepless. I realized the first day I felt tug of the Spirit on my soul that God was also giving me a choice. Although He told me it was time to change course, I also felt Him telling me I could remain where I was and He would bless me and others for His Kingdom’s purposes. However, I knew if I moved, it was the best choice that He had for my life. Even so it was not an easy decision. I asked God, “Where will you move me? Where do you want me to go?” When I didn’t receive an answer, I prayed and waited. When I asked God what the path ahead would look like, desperately wanting a roadmap to make the process less intimidating, I felt like He was telling me it would look nothing like what I could anticipate, and I wouldn’t know all the answers until the end. But He knew. I just had to trust Him. As I considered the terms, I took a deep breath and watched as my season of change was set in motion. The trust aspect became my greatest trial I faced. There were plenty of twists and turns and lots of confusion like a complex maze, just as God had warned. The process of moving took much longer than I thought it would. Patience is still an area in which God is constantly teaching and correcting me. Several days, weeks and months passed before the process was complete. Also, there were multiple interviews at different places. When something appeared to be working out, it suddenly fell through, and I really didn’t know what or where to go until the last minute. Even after I arrived in my new workplace, I was in constant transition and helping in a couple different areas for several weeks. Although I struggled and change was hard, God was faithful and kept His promises, and I suddenly found myself with options to go into the field I love. “Almost there! Just keep going!” I would tell myself. Some days, I said it to myself through tears. Did I mention change is hard? 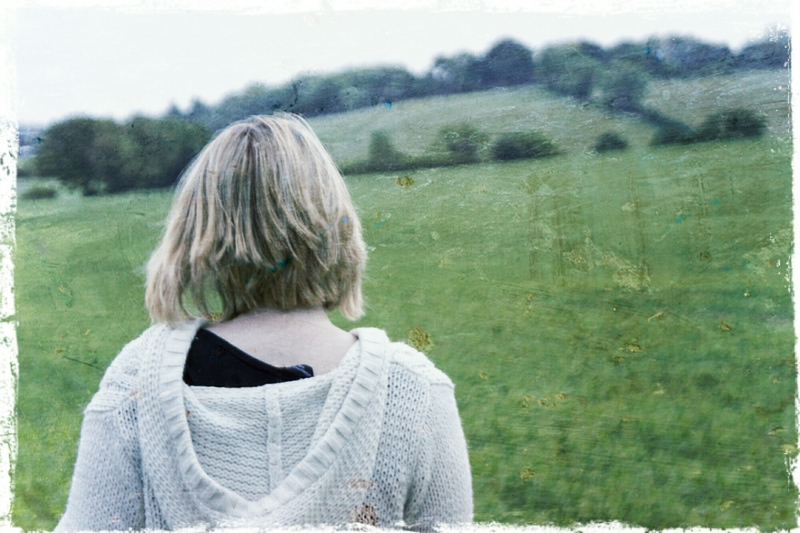 Sometimes, I wondered if I’d be in the Wilderness forever. For a restless heart, sometimes the waiting period can feel that way. It can be easy to lose your way and lose hope if you take your eyes off of Christ and focus on all the uncertainties. But God kept every word of the promises He gave me. People often think of the Wilderness as punishment. They think of the Israelites wandering in the desolation for 40 years. Instead, it is usually a time of testing and trials intended to grow and strengthen us. It is a time of preparation for our next life chapter which requires more than previous situations had demanded. Wilderness moments, although sometimes extremely lonely and discouraging, is never without God’s grace (Mark 1:13). For me, the greatest experiences and often the closest I have felt to God occurred during my Wilderness moments. It makes the life struggles worth the perseverance when we see God move miraculous ways. If you find yourself in your own Wilderness experience, take heart! You are not forgotten. God is preparing you for your next adventure. He’s giving you an opportunity to see Him move and to mature spiritually. You will see He is faithful, and you will eventually reach the end and discover your Promised Land. May God’s peace, love and joy accompany you along your life’s journey. I’m a news addict. I love to read everything I can get my hands (or eyes) on. It’s a great blessing to know at any given moment what’s going on in the world, but it’s also a curse. It’s hard not to be effected by stories of death, wars, natural disasters, crime, etc. ; and it can seem paralyzing at times. As Christians, how should we respond to negative news or suffering around the world? Pray for Christ to come quickly? Shake our heads in condemnation? Worry about the future? Throw up our hands and just give up? It would be easy to agree with the lie that we’re helpless. After all, it’s a big world with plenty of big problems. It often seems impossible for one, small voice to be effective. However, it’s important for us to remember we have the most powerful weapon in the world against such chaos — prayer. Negative things we see and hear often effect us deeply because we are made in the image of God. As Christians, what grieves our Father should also grieve us. We are His mirrors on the earth, reflecting His heart for humanity and His divine nature. We are creative, emotional, inventive and Spirit-filled beings just like our Abba. As we grow in our Christ-like world view, our compassion and love for others grows. As such, when we see terrible things happen, whether it’s in the news or a tragedy involving a loved one, it can be painful. However, instead of feeling helpless and giving up on the situation, what if we used the burdens we feel for others as opportunities to pray? Could our intercession and pleading on the behalf of others change the course of an event or a person’s life? I can speak from personal testimony — Yes, prayer makes a difference! Prayer is frequently used as our last line of defense when it should be our first. It’s a direct communication line with the God who makes all things possible. When prayers are answered, it builds personal faith in God. It strengthens and reaffirms trust. When we share testimonies of God’s faithfulness through answered prayers, it can change someone’s helpless feelings to hope again. It can build the faith of others or renew a commitment to pray about a promise not yet fulfilled. Mrs. Golightly, my middle school and high school English teacher, appeared visibly shaken one morning as we begin class. Her usual cheery smile was noticibly missing. Tears welled up in her eyes. As she explained the day’s lesson, she began to cry and had to stop. I had Mrs. Golightly as a teacher for two straight years. Every day for two years, we prayed for the boy with lymphoma. Although there were bad reports some days about the progress of the cancer or lack of effectiveness of chemotherapy, we prayed anyway. When two months and then several more passed and the boy miraculously still lived, we prayed. We thanked God for the young man, his life, and his testimony. We prayed with hope that he would live despite the odds against him. Then the news came: the boy was healed completely of cancer. The doctors ran several tests and claimed it must have been a miracle because the evidence of cancer was gone. How did the news of they boy healed of cancer affect me? As a new Christian, I saw my Father in action. I saw that partnering and petitioning with Him matters. That day built my faith and laid a foundation to pray earnestly and expectantly, knowing my Father would here my requests and answer. I pray this post will encourage you in whatever you are facing. Remember, you are not alone because God hears your prayers. Never give up. Never lose hope. I hear His voice again — it’s the familiar, gentle nudge to speak a specific word of encouragement into a person’s life. The word fills my ears, although my natural ears never hear it. It becomes my breath, permeating the air around me. It floods my mind and soul. The word He gives is specific and deep yet simple. I glance over to the woman for whom the word will be given. My introverted, shy heart races; and doubt suddenly clouds my mind. What if I heard wrong? What if she isn’t receptive? What if she rejects me? “Faith requires risk,” I remind myself. A second gentle nudge shakes away the confusion. His tender voice repeats the same word. Peace accompanies it and anchors within my heart. As new courage builds within me, I walk over to deliver the word. Now, it’s time to speak. The person before me stares for a long moment with curiosity as the word flows from my mouth like a living spring. As it touches the woman, her eyes well with tears. The word ministers to her in ways I can only imagine. “How did you know?” she asks. “I’ve prayed about that issue for months.” It takes her mind a moment to realize God just encountered her for something her heart was desperately seeking. Her shocked expression shifts to a broad smile. For a moment, I see through His eyes, staring upon her with unfathomable love, grace, and mercy. I feel His immense compassion; my heart is full of uncontainable joy. The emotions are overwhelming. My eyes also fill with tears. Recent strangers quickly become sisters. The woman hugs me. The Presence of God always carries relationship from which life and love flow. We celebrate God’s revelation for her, and we pray together. The woman is forever changed by her God encounter. Honestly, I won’t be the same either. This story is from another “ordinary” day as a follower of our amazingly loving and personal God. Like you, I am a simple conduit of His love. The story above is true and an illustration of how God can use anyone to minister to people. We just have to be willing to wait, listen, and respond when He calls to us. Love and peace to you, friends. I pray this story encourages you to seek His Presence and share His love boldly when the opportunity arises. It’s time to be His hands and feet to this broken world.